As July came to an end, developers at Signal stopped what they were doing for a week. This may sound like an ill-advised idea, but in fact, it’s just the opposite. During Shark Week (which happens twice a year, alternating quarterly with Hack Week), developers press pause on their current projects and for five days work on projects of their choice to enhance the quality, speed, and effectiveness of our products and services. “Editing Tag & Page Names Freaky Fast”: Developers revised the name-creation process so users can easily change names in place in Signal Data Hub. “Monitor all the Things”: Several backend developers collaborated to convert all of our Java components to the open-source Metrics library. This library provides reusable instrumentation that can be implemented manually or automatically and helps us keep more consistent metric names in graphite, which we use for all our time-series operational metrics. “Guice Upgrade”: Upgraded Signal’s installation of Guice to 4.0. Guice is a lightweight, open source dependency injection framework for Java from Google. Updating core libraries like Guice in order to keep our codebase modern is a common tradition for Shark Week. “Rise of the Machines”: Instead of copying our centralized logging kibana dashboards by hand to each of our separate regions, one of Signal’s developers utilized a webhook on our gitlab server to create region-specific dashboards automatically after putting the json for the dashboard into git. “Multi-Clustered Kafka”: We already use Apache Kafka for several purposes at Signal to great success. Kafka’s ability to hold vast amounts of data temporarily while consumers work through the log of requests is a great model that we intend to use even more in the future. To keep these separate uses distinct and our configuration simpler, the Ops team started using the concept of a “chroot” in its backing stateful-storage ZooKeeper so we can keep clusters isolated. For me, the coolest part about Shark Week is how developers go the extra step to detect and solve problems before they happen. Constantly seeking solutions to improve our products is one of the many things that Signal does to exceed our clients’ expectations. Dr. Sora Kim of the University of Chicago presents on sharks and ecological change. An important part of Shark Week is inviting speakers to share new ideas and perspectives with Signalites. 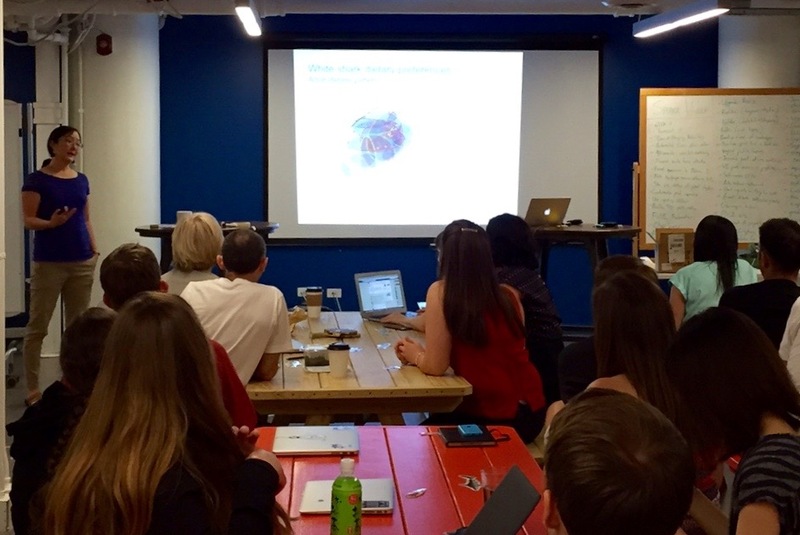 We were treated to a wonderful presentation by Dr. Sora Kim, a researcher at the University of Chicago. Dr. Kim’s research ties together ecology, geochemistry, paleontology, and physiology, and she studies sharks to understand ecological change over time. She even brought shark skulls and teeth (still smelling very much of the ocean) for us to examine. One addition to Shark Week this time around was the sponsorship of a real-life shark. Lisa O’Keefe, Signal’s Head of Culture and Talent, sponsored Bruce, a Great White Shark who lives in the Guadalupe Islands, through a donation to the Marine Conservation Science Institute. My first week as an intern at Signal happened to coincide with Shark Week, and it was quite an introduction to life at this fast-growing company. I am so impressed by the passion, creativity, and work ethic that people here bring to their work every day. And while Signalites are incredibly friendly, they definitely bring a shark’s killer instinct when it comes to improving our products and customer experience. 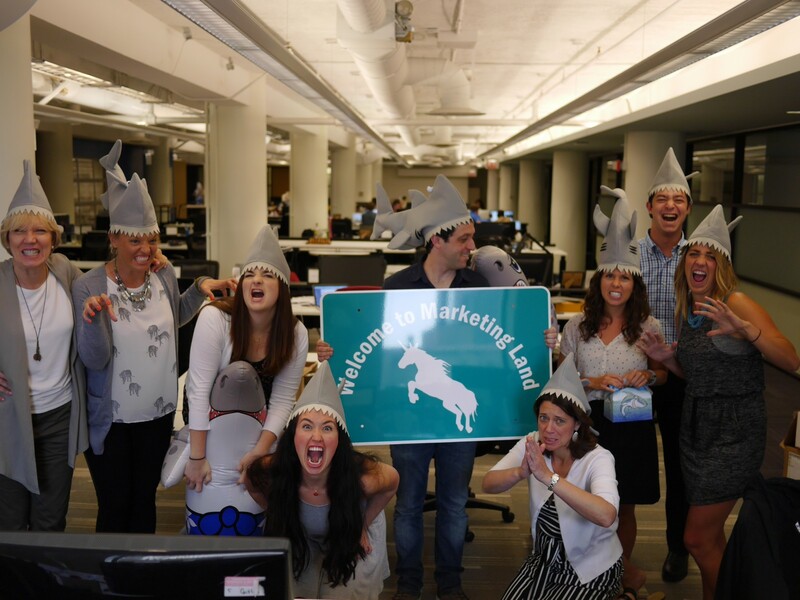 Signal’s marketers also got into the Shark Week action. Chase, formerly Signal's marketing intern, is entering his junior year at Indiana University in the Kelley School of Business. He enjoys photography, enjoyable times with friends, and music.